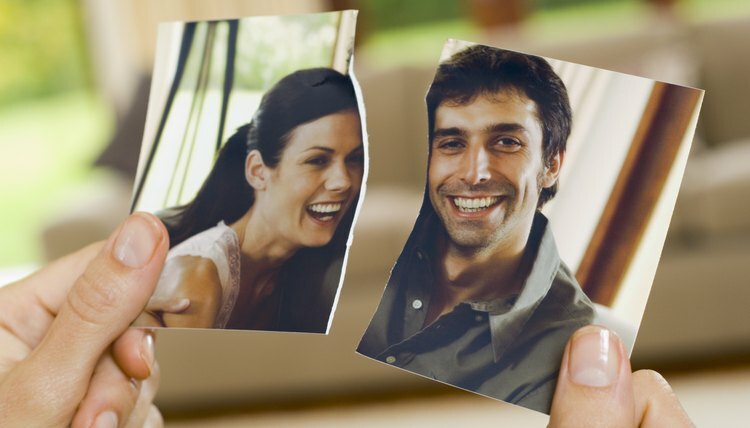 Approximately three out of every 1,000 Americans went through a divorce in 2009, according to the Centers for Disease Control and Prevention. The legal procedure to end marriage, divorce, has existed throughout written human history and has its origin in the desire of unhappy couples to end marriages which have not met their personal needs. Hammurabi, the king-priest of Babylon between 1795 B.C. and 1750 B.C., ordered his country's code of laws, including divorce rules, carved on an eight-foot-high black stone monument. Hammurabi's Code is one of the earliest written law codes. A man could divorce his wife by saying, "You are not my wife," paying a fine and returning her dowry. A wife had to file a lawsuit to obtain a divorce. Babylonian couples sought divorces for reasons such as adultery, infertility, desertion, abusive treatment and neglect. A wife could divorce a husband for adultery. A husband could ask a court to execute his adulterous wife, according to Rev. Claude H.W. Johns' book, "Babylonian and Assyrian Laws, Contracts and Letters." The Roman Empire conquered most of Europe and parts of the Middle East by 117 A.D., making Roman divorce law prevalent. The modern term "divorce" comes from the Latin term "divortere," a term meaning to turn different ways or separate. A Roman couple seeking divorce declared their desire to split up in front of seven witnesses. Because the divorce procedure was easy, divorce was common, particularly among the upper classes. Jewish divorce law in the Roman era rested upon Old Testament rules set forth in Deuteronomy 24:1-4 and a code of law called the Talmud. Only the husband had the right to initiate a divorce. A Jewish husband could divorce his wife by giving her a certificate of divorce if she displeased him for any reason. After Christianity became the official religion of the Roman Empire in 380 A.D., the medieval church discouraged divorce, following Christ's position in the New Testament as set forth in Mark 10:11-12. Many noblemen seeking divorce instead obtained annulments, declarations from church officials that their marriages had never been valid from the beginning due to technicalities such as being distant cousins. As late as the mid-19th century, the only English people who could afford divorces were noblemen who could ask Parliament for a private bill granting them a divorce. Commoners sometimes used a folk custom, selling one's wife at auction to another man, a procedure that became a primary plot device in Victorian writer Thomas Hardy's novel, "The Mayor of Casterbridge." The English colonies that became the United States varied in their legal views of divorce. Massachusetts courts allowed divorce for claims of adultery, desertion, impotence and bigamy. The southern colonies prohibited divorce except in cases of adultery. After the United States became an independent country, differences among state divorce laws continued. Americans from states with restrictive laws turned to so-called "divorce mill" states, where they could obtain faster divorces. When the first "no-fault" divorce law took effect in California in 1970, allowing divorces by mutual consent, most states adopted similar laws within a decade, making American divorces much easier to obtain. The Holy Land; Everyday Life In The Time of Jesus; Fr. Frederick. Manns, O.F.M. The Victorian Web: The Wife Sale in "The Mayor of Casterbridge"